Rated 5 out of 5 by liddy01 from In love... I hope someone connected to the creation of this game sees this because I want to thank them so much for one of the best games I’ve played. Ever. I’ve played maaaaany many many computer games, of differing genres, but none of them gave me the relaxed, immersive experience that Rhiannon has done. 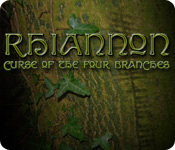 For years I have devoured Celtic myths and legends, The Mabinogion being the holy book of all Celtic mythology and when I stumbled across this game, centred around the legend of Pryderi and Rhiannon I was stunned and overjoyed. I felt that the independent nature of production might mean that the story adhered to the original tale and I was not disappointed. Thank you again to the developers and I heartily recommend this game. Rated 5 out of 5 by Zurreen from Outstanding, in Every Way! :) I should note at the beginning that this is not a Hidden Object game. 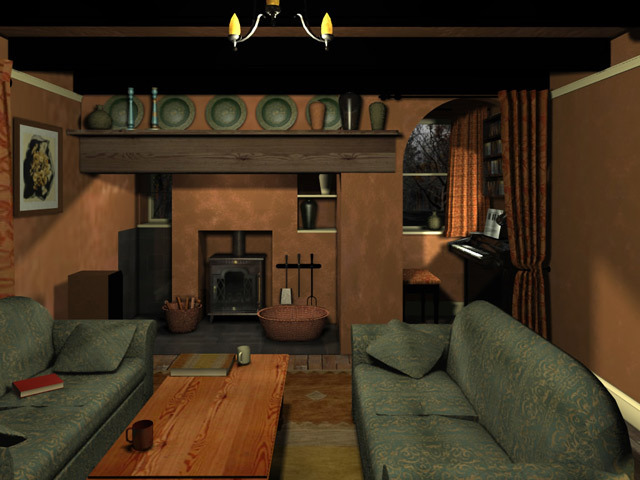 Rather, it’s a point-and-click Adventure game, the kind you sadly don’t see anymore. More than that though, it is also one of the best such games I have ever played; and, believe me, I have played *quite* a few! As you begin the game, there are no long cutscenes, documents/letters to read, etc. Rather, you jump into the story right away. The premise is quite simple: young Rhiannon is behaving in a way that alarms her parents, who take her away from the estate, asking their friend (Chris) to basically house-sit for them. Thus, you arrive at the Ty Pryderi farmstead, quite a beautiful yet at the same time a rather spooky and desolate place, partly because of all the renovations going on and partly because of the storyline already explained to us! And, unlike many Big Fish games, this one actually “lives up” to its Big Fish description, and then some. The story develops as we delve deeper into the game. You don’t really need a Map or any Hints, although I understand you get both in the Big Fish version of this game. It is quite easy to get around the place. In fact, one of the things I loved the most about this game was just exploring the wonderful surroundings, so natural and yet a bit scary, all at the same time. As for the puzzles, or should I say “tasks,” they are all quite straightforward and interesting. The main thing to remember, gamers, is just Pay Attention! 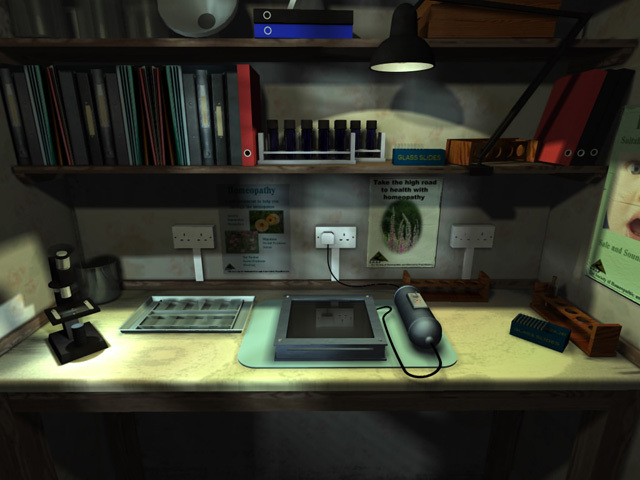 You will find all the clues and help you need right there in the game, if you – just – pay – some – attention! In addition to everything else, I really loved that touch of waking up in the same familiar location after each, what I call, dramatic sequence of tasks. To be honest, I never did figure out how we returned there. I did notice the thud… So I guess we pass out at the end of each such dramatic sequence. But then, how do we end up back in that place? Does someone bring us there, or do we sleep-walk or something (like Rhiannon was doing when she was here…)? The game doesn’t ever explain that but, to be honest again, I am glad it didn’t even try. It’s good to have *something* to try to figure out on our own, you know. I mean, you don’t want the developers to try to explain each and every thing, do you? So that in itself was a nice touch: to leave at least something for the gamer’s own imagination to fill in, so to speak. And the music, especially when we would wake up at this place, was absolutely wonderful. Thus, both our return to this place, and the music we hear when we wake up, serve as a signal that we are about to start a new “sequence” of tasks in the game. In other words, it is like a transition between the essential parts of the game. Again, a very smart touch, to be sure. Hats off to the developers, once again. Frankly, I can go on and on about this game, I just really loved it so much. But I think I have said enough to give you a pretty good idea as to why I do like it so much. Very simply: it is a rare combination of a brilliant storyline, a beautiful (and yet haunting indeed!) 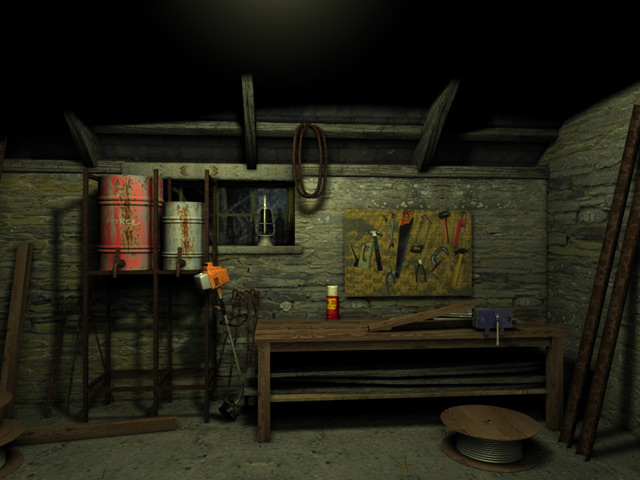 background, and a variety of interesting puzzles. I sure do wish there were more games like this one. But then, sadly, such gems are so rare… Well, I do hope you will enjoy this game - at least half as much as I did, because (and I know I have said it before but, really, I can’t say it enough!) I really enjoyed it a lot. Rated 5 out of 5 by lianneek from Awesome Well worth the money. One of the better adventure games on Big Fish. Rated 5 out of 5 by thoth17 from A Good Challenge with an excellent storyline I admit that I really like games that require more involvement in the story rather than games to unlock a next level. The game must keep me engaged by a good storyline if I will continue with it. The Syberia series is an exellent example of that. Games like this present the challenge of trying to figure out the next step--these are not for those who want to be spoon fed along the way with a lot of flash and sparkle. For some that could spell work and you lose interest, for others its a challenge to unravel the mystery. Rhiannon fufills that place. I have played it several times and love it everytime. Its different, engaging, it has a fairly solid and interesting story, while adding a bit of eeriness and sinister environment to your pursuit. I like the process, I am not seeking instant gratification. (if that was the case I play solitaire). This is a game of participation and commitment (and guess what duh!!! it actually requires you to think!). I am probably dating myself because I feel these games are falling off the interest wagon for general gamers. But for challenge, involvement, and (to me) stimulating gaming experience this is one of the best. My regret is that BFG does not offer more of this style of game. Rated 5 out of 5 by dpeanut2037 from Loved it!!!! Wonderful long Interesting game. Worth every penny. Rated 5 out of 5 by Kati1994 from Brilliant Creepy Adventure game I am a huge fan of Jonathan Boakes, the creator of "Rhiannon". He has a fantastic knack for creating wonderfully atmospheric situations. This game, like most of his has a subtle creepiness that I absolutely love. The few spine-chilling parts are never gory or pretentious but give you the shivers in exactly the right measure. I love that the story is based on a genuine welsh legend. There is a lot of reading that needs to be done to fully appreciate the game which can get boring but I personally love the level of detail and richness that it provides. I have to say the first time I played it I had to often check the walkthroughs because it is hard and there are a lot of links you have to be very clever and imaginative to work out but it does make sense in the end. The game play is very atmospheric which I love. However the actual mechanics seem a little jarring in that you have to look around a lot to get everything and the graphics aren't the most beautiful (it's quite gloomy) but if you take your time with it, it's a wonderful experience to follow the story of Rhiannon. Rated 5 out of 5 by HollyHorror7 from Rhiannon This is a good one! It's lonnnnggg, which I liked. It's fairly chellenging and the story and scenery are really cool! Rated 5 out of 5 by Fish_Pie from More games like this please. This is the best Big Fish game I have played so far, 'Dire Grove' being a very close second. At last a proper adventure game with a proper story, not a load of hidden object scenes and click puzzles 'tied' together by a lame plot #the developers of this game must have really been interested in what they were doing#. I really felt like I was 'playing a story'. The game whilst challenging is not very difficult, most of the puzzels are fairly logical to work out and I only had to cheat once and I kicked myself when I found the answer #if you think this game is hard then you should try some text adventures for the ZX Spectrum#. There has been some criticism of the navigation in this game and although it seems a bit awkward at first it is totally logical and not really a problem when you have got used to it. Apparently the developers of this game were working on another game called 'Coven' but unfortunatly were unable to finish it which is a real shame because we need more games like this!! Rated 5 out of 5 by zeldaqn from Very challenging This was the first game on big fish that I played. It was VERY difficult and INCREDIBLY interesting. I actually got my sister (who never played large file) to help me with this. She and I can hardly stand to play anything else now. Only advice I can give you is LISTEN. You never know when someone is going to stop by.